More turbulence in Venezuela — including the threat of United States sanctions on its crude oil exports — has Canada’s oilpatch watching carefully for how the impact will ripple across the industry. Analysts say sanctions, or a further drop in Venezuelan oil output, could leave American refiners on the hunt for heavy crude from elsewhere, providing a potential price lift for Canadian producers. But with limited ability to get more oil to the Gulf Coast, some believe the Canadian sector won’t be able to seize the additional market share it otherwise might. Longer term, if Venezuela changes political regimes, the upheaval could see the South American country’s oil production soar once again — and change the outlook for global prices. “Any more reduction in Venezuela crude could have an impact on the price of heavy crude for Canadian producers,” said Kevin Birn, an oilsands analyst with IHS Markit in Calgary. 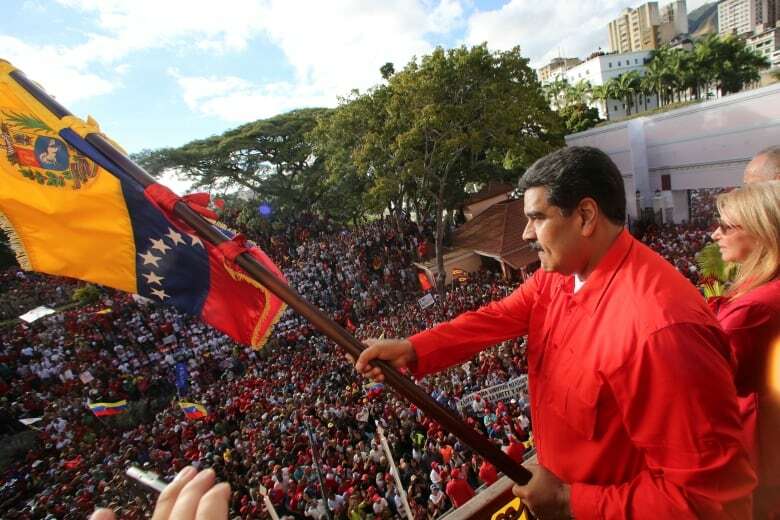 Venezuela’s political and economic outlook is unclear as opposition leader Juan Guaido and interim president Nicolas Maduro struggle for control of the country. Traditionally, Canada and Venezuela produce heavy oil that compete for space in the U.S. market. However, Venezuela crude production has fallen dramatically in recent years amid economic and political strife. “There’s been a developing opportunity for Canadian crude, in particular going into the U.S. Gulf Coast refineries,” said Allan Fogwill, president of the Canadian Energy Research Institute. Last fall, Canadian shipping constraints to the U.S. led to a backlog of oil and steep discounts on Alberta crude. Prices increased significantly when the province imposed mandatory crude production cuts for 2019. The heavy blend of oil from Alberta’s oilsands known as Western Canada Select was trading at $43.47 US a barrel on Thursday, up $1.36 US on anticipation that any decline in Venezuelan crude would result in more demand for WCS. Rory Johnston, a commodity economist at Scotiabank, said the Canadian heavy crude price could further improve depending on whether the U.S. moves forward with sanctions and what happens with Venezuelan production. “But I think at this stage it’s fairly unambiguously bullish for oil prices in the short term,” he said. Robert Fitzmartyn, head of energy institutional research at GMP FirstEnergy, said he’ll be watching to see how any related improvement in crude prices filters into the market and Canadian energy stocks. “The stock market probably responds mildly,” Fitzmartyn said. Longer term, however, there are even more questions. If there is regime change in Venezuela, oil production could ramp up to more traditional levels and that might come to weigh on oil prices, Johnston said. “What that likely would mean is actually a slightly more bearish outlook longer term,” he said. Fogwill said that if Venezuelan production returns to traditional levels, it will have an impact on world prices, too.